Welcome back to my Wrestling Quickies. The first time I did this about two weeks has been fairly positive since I got to talk about matches from other promotions that don’t really get covered on here and that’s what these quickies are all about. Plus, who doesn’t enjoy a good quickie from time to time? I found some matches from different promotions like the last time and maybe one of them making a comeback, but you will see some familiar faces. So let’s just get right to it. 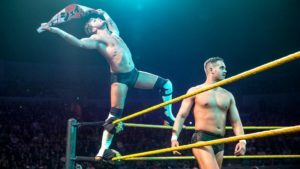 Review: The match happened around August 2nd and AAA uploaded it a few days ago, so I figured it’ll be a good time to upload it. 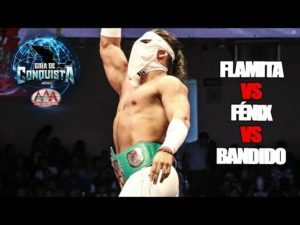 Both Flamita and Bandido were in my first quickie article when they fought each other in PROGRESS and that was an entertaining match, so why not bring them back but with an added person into this? So yes, we got a three-way match between these two and another big Luchador star and current AAA Mega Champion, Rey Fenix. Which of these of these three famous Luchadors will come out on top? You do have wrestlers like Fenix, Bandido, Flamita, Pentagon, Drago, and Horus traveling all over the world to spread the word of Lucha Libre making a comeback and it’s been a while since they’ve been given that much spotlight everywhere since Rey Mysterio, but I’m glad that these five are helping to keep the spirit of the style alive wherever they go together. The match had a couple of slip-up’s but it’s expected due to the fast pacing of their nature and it doesn’t take away from the match at all. This is the type of match you would see in a Lucha Libre match and it’s the type you want to see as well when you look for these matches. It has energy, it has action, they’re quick, and they can carry the crowd over to make it fun. Fenix is one of the best in the indy scene right now next to Pentagon, especially together when they’re a tag team but both great individually as well and the same could be said for Flamita and Bandido. Flamita had Bandido on the turnbuckle and it looked like he was going to go for a Rana, but Fenix jumped off the ropes to hit a Super Hurricanrana on Flamita and he went over to Bandido to hit his Valagueza Con Desnucadora for the win. Very entertaining match and recommended if you love these guys or the Lucha style. Review: We go to Japan now with a Joshi promotion called SEAdLINNNG and we have an intergender match here as Nanae Takashi will be taking on NOAH star, Go Shiozaki. For intergender matches, I’m sometimes on the fence with them depending on how they play out since some of them are a hit and miss, but can be really special if done right like how when Tessa Blanchard fought Brian Cage earlier in the year at Wrestle Circus and if you haven’t seen that match, I recommend it. This match took place on their show called Endless Summer which took place on September 5th but aired September 28th, Japan and their long air dates for big shows. 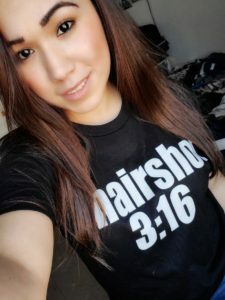 I haven’t seen too much of Nanae but from what I’ve seen, she’s someone worth watching and has 22 years of experience in the wrestling industry, and I don’t have to explain that about Go Shiozaki. Which one of them will take it? 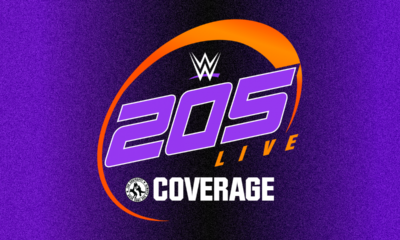 This one was better than how I anticipated it to go and glad that it was the case here because this one is probably one of my favorite intergender matches. If I had to pick a complaint or two, I’ll address it now and get it out of the way and it was the same with Ice Ribbon where you have a corner of the screen covered by a couple of people on commentary or just two people watching with comments and it hurt the match a little since stuff couldn’t have happened there or the expression on their faces or certain moves would just be blocked because having that side screen is important for some reason. Another big complaint that really pissed me off was the cameraman who kept moving around and zooming in/out when he really didn’t need to, especially in the Suplex part when he aimed way too high and barely got them, someone fires him for the love of Christ. Anyway, now that I got the bad stuff out of the way and I can now talk about the match. Nanae did exactly what she needed to do in this match and that used her technical ability and to try and outmaneuver him since she’s not stronger than Go and it’s the smart approach about it. Go would mostly just chop her around the arena and throw her around just to show that he was stronger than her and a better wrestler than her. Nanae would get some offense when she reversed a Suplex with one of her own and would even get a Sunset Flip in to try and to get the surprise victory but Go kicked out at two. Go would hit the Gowan Lariat and instead of covering her right then and there, he just hits one more stiff chop to pin her for the win. The ending confused me a bit because I would’ve just ended it with the Lariat instead of just another chop, but okay then. Still a great match with a good story and did what they needed to do it right. Review: Our next match is from another Joshi company called TJP or Tokyo Joshi Pro and is apart of the DDT Universe streaming service, so if you don’t like DDT that much, you got other promotions there that you can check out like this one. 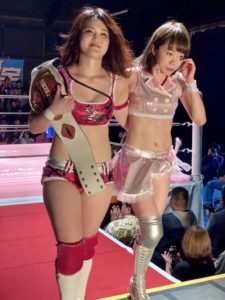 The match happened on the September 22nd show and it was titled ‘How do you like Shin-Kiba?’ I love their event names, but our Princess of Princess Champion, Miyu Yamashita is set to take on Azusa in a non-title match in our main event. I’m very new to TJP and only watched one match involving Miyu and was very impressed with her and felt like she could be one of the top Joshi wrestlers in the upcoming years. Can the champion win or will Azusa win and become the next contender? Match started off basic with trying to shoulder tackle each other down and Azusa would roll out of the ring and grabbed the microphone to give her a timeout and she also said some other stuff which I have no translation to since it’s not subtitled. She would go into the ring though and began to…sing a little song and even had Miyu chime in on it as her face accidentally hits the microphone but they laugh it off and Azusa swept her off her feet and tried to pin her for a two count. Once the little comedy spot happened in the match, it just turned into a regular wrestling match with was pretty solid with Miyu taking most of the control in the match and can see why she’s considered their ace of the company, she has a good look, balanced moveset, and can work a good match with more potential ready to be released into the wrestling scene. Azusa also managed herself pretty well in the match and can also see her being a bigger star and not bad for only wrestling for three years. Miyu would hit an Attitude Adjustment onto Azusa to try and put her away but Azusa would barely kick out of it and she wasted no time by hitting a running knee that I believe she calls the Crash Rabbit Heat, but I could be wrong and she gets the victory over Azusa. 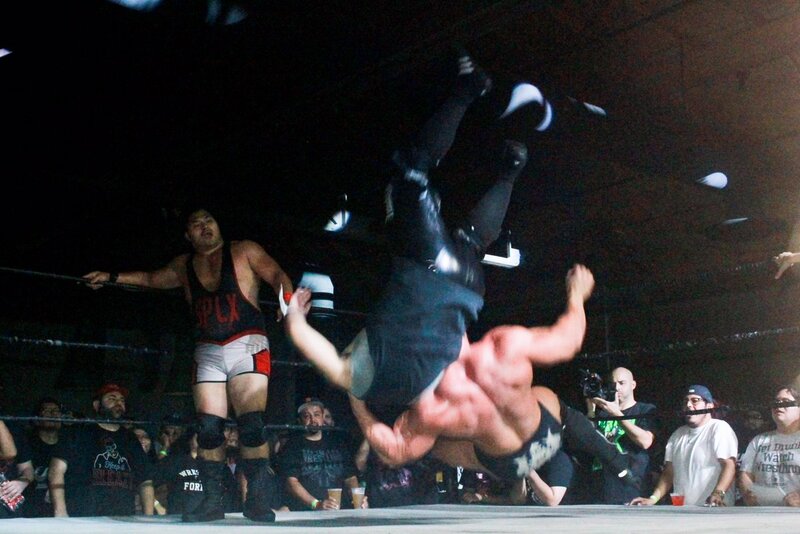 Review: Our next match is a tag team match that took place at Bar Wrestling. Bar Wrestling is a fairly new promotion that is founded by Joey Ryan and takes place in California. This took place on the September 12th show called Bar Wrestling 18: Victims, Aren’t We All! Our tag match for this one is between LAX members, Santana, and Ortiz as they take on the team of two of the biggest stars right now, Brian Cage and Jeff Cobb. This is sure to be a good one, but which one of them will win? My God, both Cage and Cobb are incredibly strong, aren’t they? They would mostly throw around Santana like a rag doll for the majority of the match and one time, Cage had him up for a Stalling Suplex and both him and Cobb would tag each other in back and forth just holding him in the air for a good minute until Cobb was the one to deliver the Suplex on Santana. I would love to write about LAX more and how great they are as a tag team but they hardly showcased a whole lot into this match as it was mostly about Cobb and Brian, which is fine since they’re both strong individuals in this match that should overpower their opponents. Ortiz would be the hot tag of the match as they would hit their own variation of the Magic Killer, and it wouldn’t fully last long as Santana got tagged in and both Cage and Cobb would clean house with them once again. Cobb would slam Santana down which lead to Cage picking him up in a wheel barrel position to hit a Neckbreaker, then Cobb does a Sitout Powerbomb as it’s another two count. Cobb would have Santana on the top rope going for a Superplex, but Ortiz kicked Cage down and snuck up behind Cobb to have him in a Powerbomb position as Santana hits the Blockbuster on the way down and LAX gets the pinfall victory. This was a short and solid tag team match. 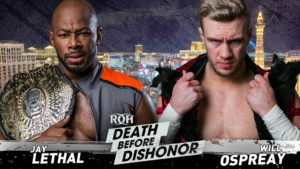 Review: You heard it right, I will be covering Ring of Honor in this article and the match I’ve chosen is the ROH World Championship match where Jay Lethal defends the title against Will Ospreay. The match took place over the weekend at Death Before Dishonor show and Will made his challenge to Lethal about a month ago and is considered the first time ever as well, so he wants to prove himself all over the world, including ROH. Jay Lethal is known to being a fighting champion and will gladly accept the challenge. Will Jay Lethal retain or will Ospreay win the title? I know a lot of people know Will Ospreay for his flips and flashy moves, but I think some people do forget that he actually can wrestle a match without the need of those, like his match against Drew McIntyre last year where we saw a different style of Will and we had that exact same thing here in this match with Jay Lethal. I’m not the biggest fan of ROH after feeling like poor booking and declining quality just hurt the product over the years, but I will admit that they will sometimes give us something enjoyable like this match right here between Jay and Ospreay. Jay Lethal is still showing that he’s still one of the best ROH has to offer and better established that’s not a Bullet Club member. The match was technical, it told a great story between the two, both of these men had equal chances to shine to make it fair and balanced with their styles and again, props to Will Ospreay for adapting his style a bit to give us this different type of match and show he can work with anyone with any different style, plus I probably wouldn’t have liked it as much if Will wrestled as he does with the other juniors and I think people expected that but glad it wasn’t the case here. I really enjoyed the last five minutes of the match since you can almost believe Will could’ve had a chance to win it all here. Will-powered out of the Lethal Injection and he went for the Oscutter as Lethal caught him with a Cutter of his own and Will kicked out at two. Will went to hit Jay with the title and he drops it to psyche him out with a kick to the leg as he hits the Oscutter for a two count as Will can’t believe it! Will would then have Jay up on the turnbuckle and as he went for a Super Rana, Lethal caught him in mid-air for the Sitout Powerbomb and he capitalizes with the Lethal Injection and pins Will to retain the title! Review: My ending surprise for this article will be from Wrestle-1. 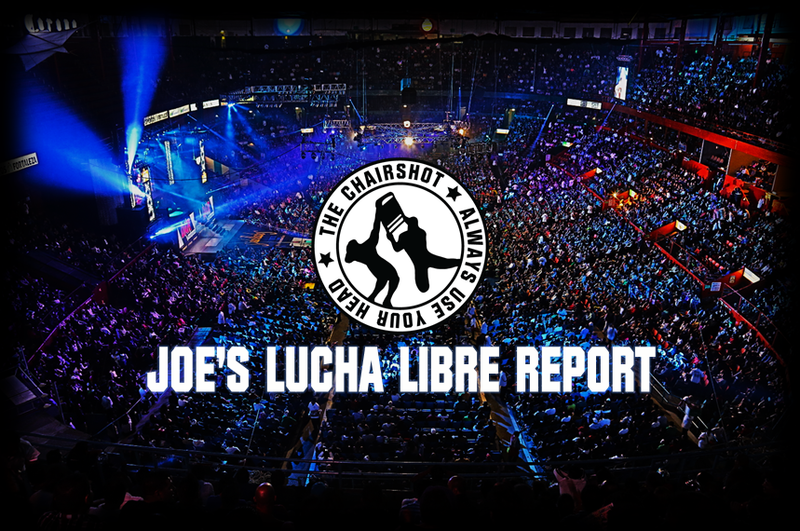 I would cover the show, but since I missed the past couple shows due to tournaments and it’s already October, I figured I would at least write about this match. 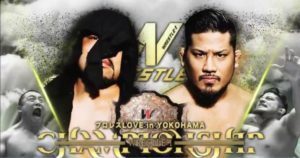 This took place at Wrestle-1’s Pro-Wrestling LOVE in Yokohama, which was their big show that happened on September 2nd and last year on this show, Ashino and Jiro made it to my Top 25 matches of 2017 list. This year, Manabu Soya will defend his championship against former champion and winner of this year’s Grand Prix, Shotaro Ashino. These two fought in March for the championship where Manabu would defeat Ashino to win the title and less than six months later, Ashino won the Grand Prix and now gets his rematch for the title. Can Manabu retain once again or will Ashino reclaim what’s his? I think the story of this math made the bout much better than their previous encounter in March, but both matches are great along with the rivalry. What I loved about the match more is Ashino and the intensity he brought into the match with his aggressive behavior and taking it out on Manabu for taking that title away from him and defeating Manabu and AKIRA for the Tag Team Titles a few months ago wasn’t enough as he wanted to take back what was his also. The build-up for the feud has been great and will probably be in one of my top feuds of the year just for the build-up and how their matches together went. Manabu did a great job taking Ashino to his limit as well since he’s also a great wrestler with a ton of passion and energy that again made the chemistry between the two great. Manabu would have Ashino right where he wants him to hit the Package Piledriver as Ashino kicked out of it, but Manabu would quickly get him back up to have him dazed enough to hits his Wild Bomber, the same move that made him win the title but Ashino still kicked out at two! Manabu would try to go for another one as Ashino caught him into a T-Bone Suplex for a two count, but he quickly turned it into the Ankle Lock and he has it locked in tight. Manabu was struggling out to get to the ropes and fight off the pain, but Ashino had him down locked and tight to make him not move as he refuses to tap out of the move until he just passed out and the referee called for the bell to crown a new champion! That’s right, Shotaro Ashino has regained the Wrestle-1 Championship that he lost back in March. Manabu has had a fairly decent run with the championship, but Ashino being the champion is the right call for the company right now. Ashino is great in the ring and my favorite part of the shows next to Jiro and STRONG HEARTS. Wrestle-1 has been on a roll these past few shows and I hope they could keep the momentum going. 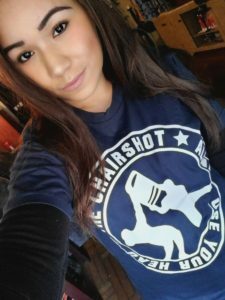 Now the question is, who will step up to take the title away from Ashino? 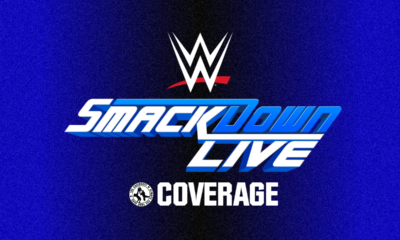 Overall: It looks like we had another successful set of quickies for this article with some different and familiar promotions on here, and I gave you six this time instead of five. I hope you all enjoyed the next set of quickies and I hope to do a part 3 within the next week or so. Right now, I’m enjoying the ride and hope you all feel the same.